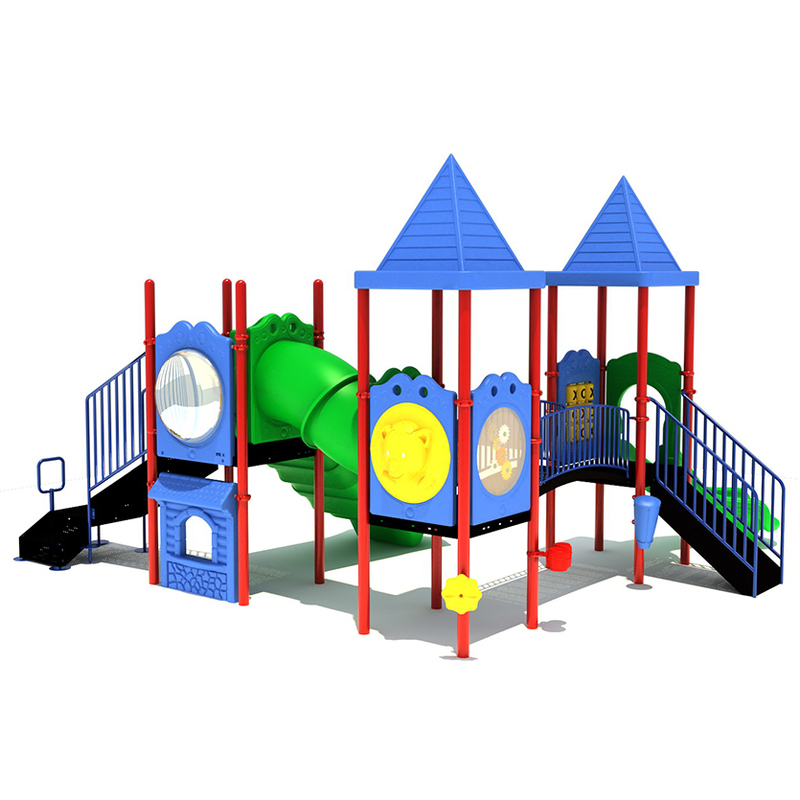 The whimsical look of the Ashland play structure will transport children right into a story book with the fun shingled roofs and pops of color. 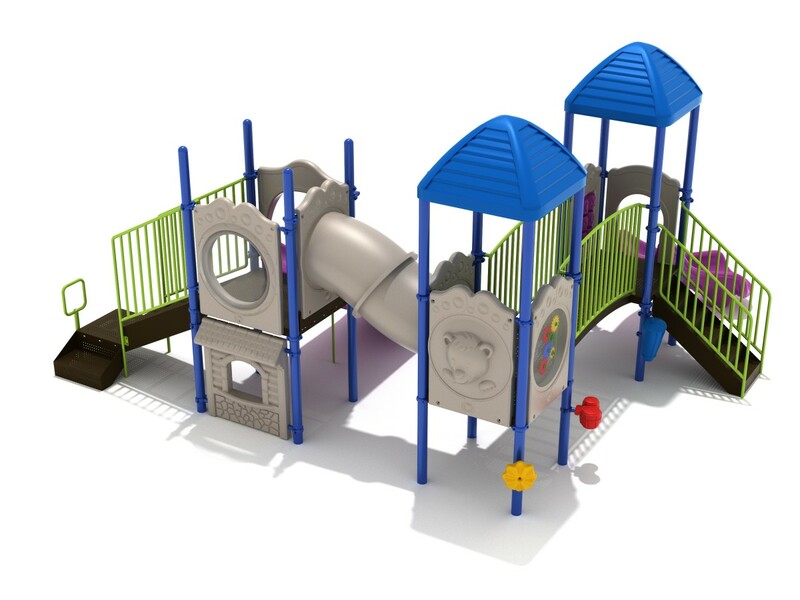 Designed for the 2 to 12 year old age range, kids will easily find something to enjoy on this exciting unit. 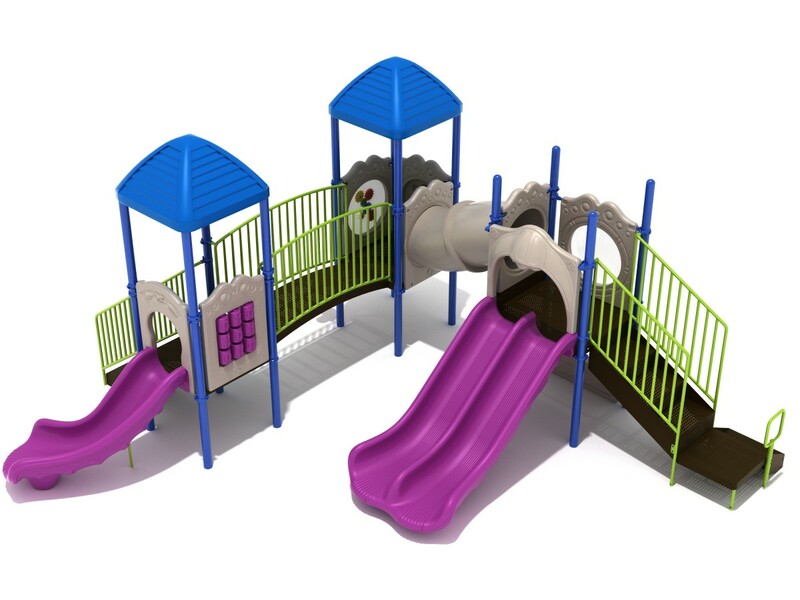 Two slides, a right turn and a double slide, lead from the decks back to the ground. 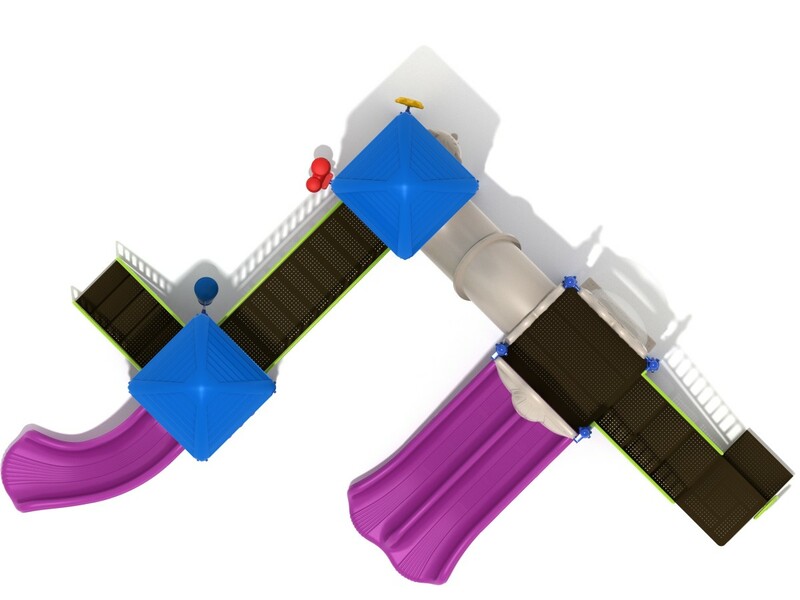 There are three main decks with a bridge and a crawl tube connecting them together. 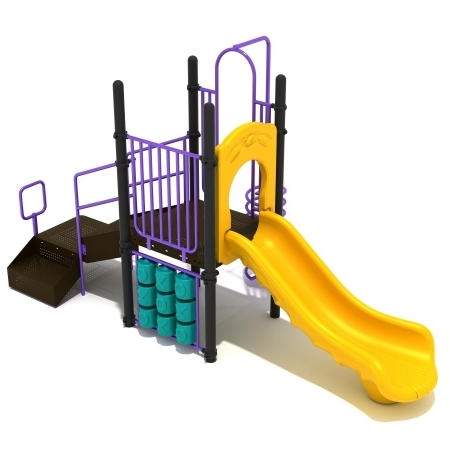 At deck level, kids will find a numbers panel, bubble panel, gear panel, and ship’s wheel. 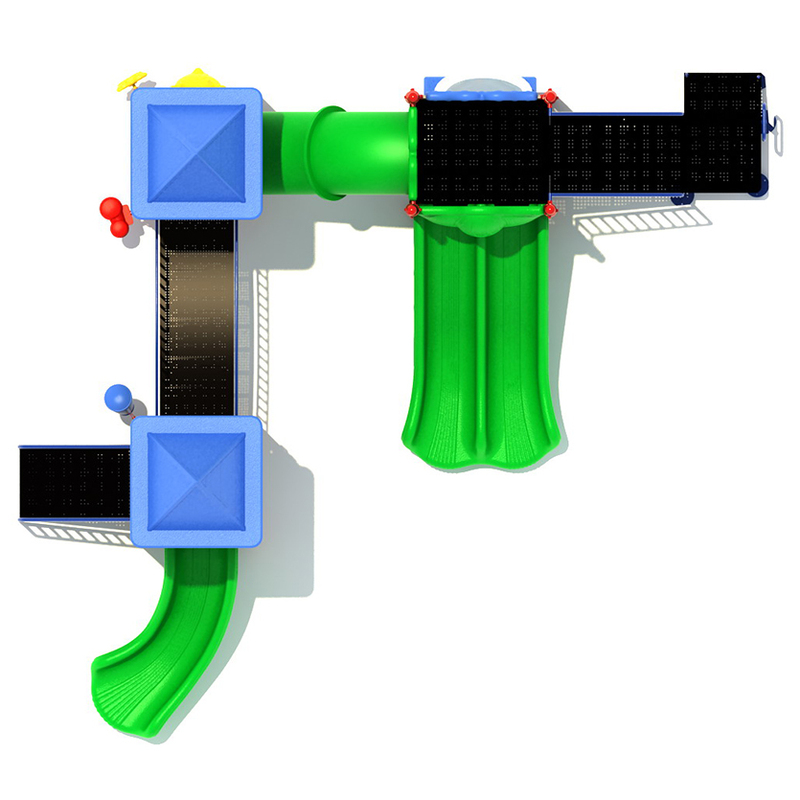 Located at the ground level is a storefront panel, drum panel, and a rain wheel. 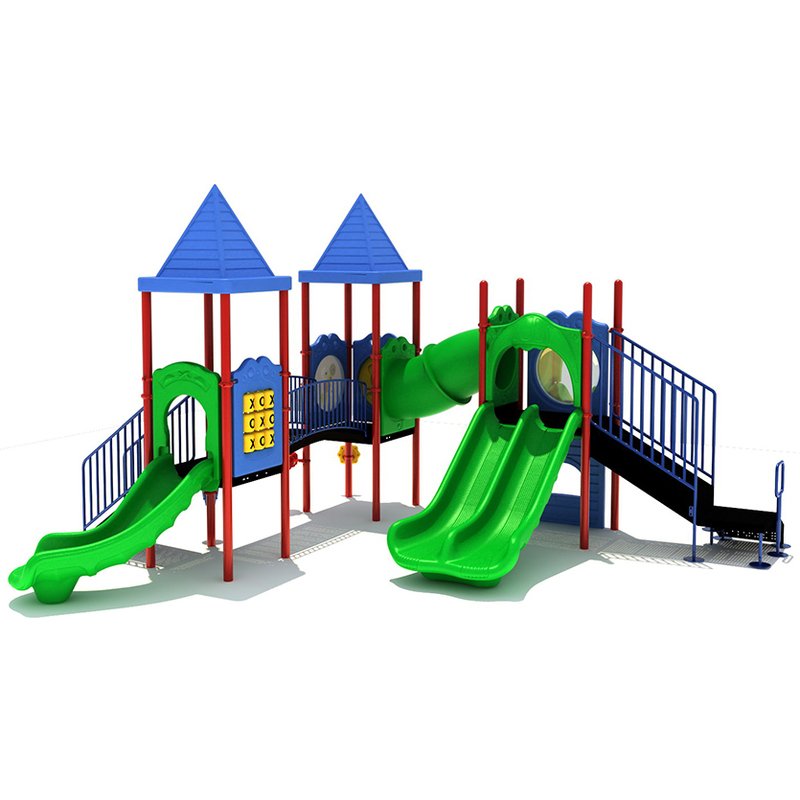 The Ashland play unit is an ADA compliant unit. 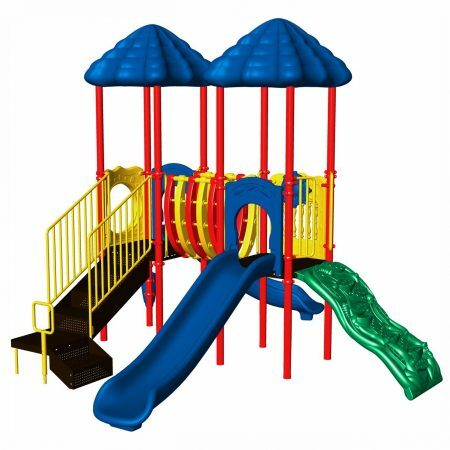 When selecting a structure for your playground, don’t forget about choosing safety surfacing to prevent injuries. 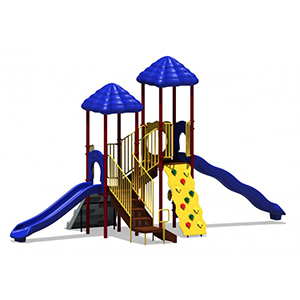 We offer a few great choices from poured rubber surfaces to loose-fill options. 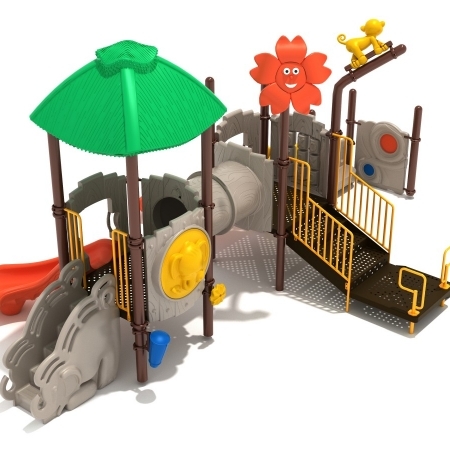 You will definitely find the right surface for your playground.